The new tax law revamped the kiddie tax. Under old law, children age 19 or younger (under 24 if a full-time student) were taxed on unearned income in excess of a certain amount at their rate or their parents’ rate, whichever was higher. Tax reform has changed this, starting with 2018 returns. Similar to the pre-2018 rules, the first $1,050 of net unearned income of a child is tax-free, with the next $1,050 taxed at the child’s rate. 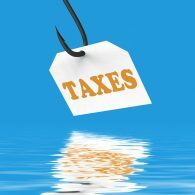 Now any net unearned income of a child that exceeds $2,100 is taxed at the ordinary income rates and capital gains rates that apply for trusts. Earned income of children is taxed at the individual tax rates for single filers. For many, the kiddie tax will be higher because the income tax brackets for trusts are more compressed when compared with the brackets for individuals. For 2018, the 37% top rate on ordinary income begins at $12,501 for trusts, and the 20% capital gains rate kicks in at trust incomes in excess of $12,700.